Have You Ever Been Burned By Buying From A New Car Brand? Car companies that are new to the world, or new to a particular market tend to offer sweet deals of surprising features and affordable prices. But there can be a drawback, as one Jalopnik reader found. 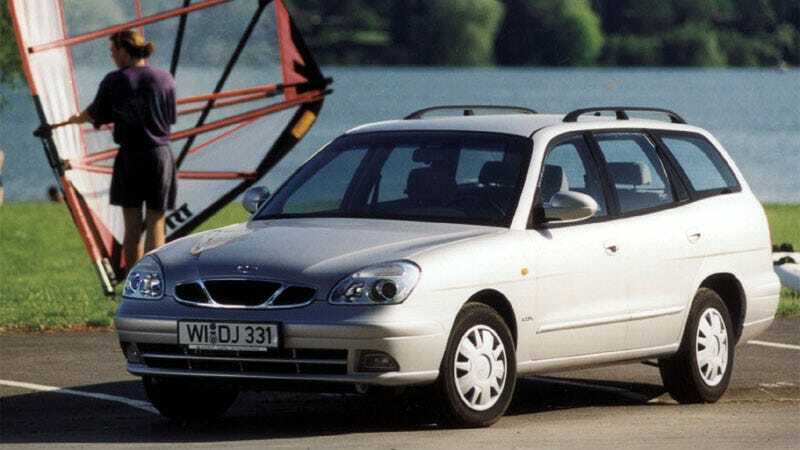 In today's Morning Shift klurejr recounted the time he bought a Daewoo right after the brand first came to the US and held onto it as Daewoo USA went under. It was far from a perfect ownership experience. I made the mistake of buying a Daewoo when they first came to the states. I was young and knew very little about cars at that point in my life. My wife loved the car, and was great for her needs (it was wagon, only saving grace) until one day it started smelling of burnt oil. Right about the time is started this Daewoo USA went under, and the dealership we bought it from claimed it was an oil pan gasket (I was sure that was not the issue because there was oil further up the engine), it took nearly a month to get the Gasket, and once done the car still smelled like burning oil. At this point the dealer refused to honor the warranty any further because they claimed daewoo would not honor it anymore. We took a big loss and traded that thing in for a S-10 Chevy Blazer at a different dealer. To sum up, do not buy a new brand until they have been established for well over 10 years in the US. I've never bought a car from a young company, so I can't exactly verify if klurejr's experience was typical or not. Have you ever bought a car from a company new to the world or new you your market? How did it go?